Mother's Day is right around the corner. 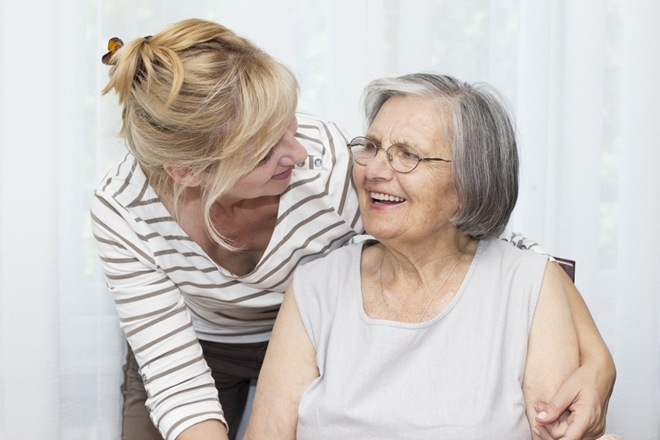 What better way to show your grandmother, mother or significant other how much you appreciate her than with a lovely, home cooked meal? With our healthful, wholesome, plant-based recipes, you can make sure that special someone enjoys a lovely dinner without squashing her primarily raw, healthy diet. Start mom's meal off with our delicious sweet soup. Place all ingredients in a food processor, blending until the mixture reaches the perfect consistency. For greatest nutritional benefit, consume soup raw. You can serve it warm, but don't bring it to a boil – this will kill the beneficial enzymes. 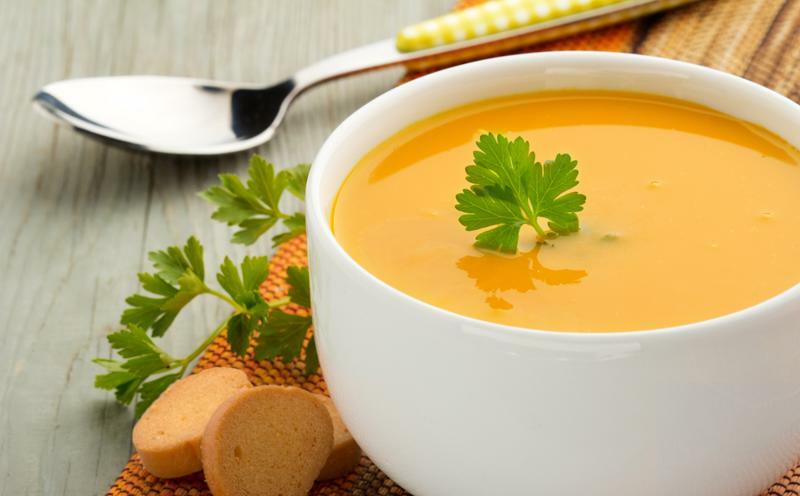 Enjoy this sweet potato soup raw or lightly cooked. This seasonal salad is equally fresh and flavorful. First, whisk together the honey, lime juice and sea salt. Place remaining ingredients in a large bowl and toss with the liquid mixture. Let sit for at least 30 minutes before serving so that the flavors can fully infuse. Serve and enjoy! For the main dish, make mom this delicious and satisfying meal. First, heat your oven to 425 degrees and prepare a baking tray with coconut oil. Place the tempeh cubes on the prepared sheet and place in the oven. Cook tempeh on each side for 20 minutes, or until golden brown. Remove from oven and set aside. Using a saute pan, heat a small amount of coconut oil over medium heat, adding the onions and carrots to cook for about 5 minutes. Remove veggies from pan and set aside. Using the same pan, heat the shallots, garlic and ginger, sauteing for 4 minutes, and then add the tamari, vegetable broth, fermented black beans, agave and chili sauce. Bring mixture to a simmer for about 10 minutes, and then add the carrots, onion, tempeh and water chestnuts. Remove from heat and set aside. To make your special sauce, stir all of the ingredients together. Distribute tempeh and vegetables mixture evenly among Bibb lettuce leaves, topped with sesame pickled cucumber and drizzled with special sauce. Enjoy! 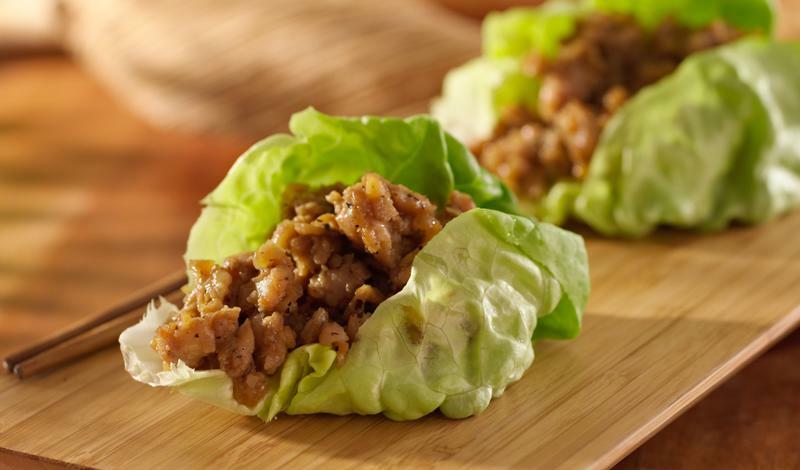 Use large lettuce leaves as wraps for the tempeh. Pair the tempeh wraps with this satisfying side dish. Place cauliflower in a food processor, pulsing until it reaches a grainy consistency. Pour onto a clean hand towel, lift the corners to enclose the cauliflower and squeeze until all excess moisture is removed. Pour cauliflower into a mixing bowl and add the remaining ingredients, tossing until fully incorporated. Enjoy! Finish the meal with a sweet, healthy dessert like our lemon coconut truffles. First, place the cashews in a food processor, blending until fine. Add the coconut and pulse until well blended, followed by the dates, vanilla, lemon juice, lemon zest and sea salt. Blend mixture well, stopping continuously to scrape down the sides of the food processor. Drizzle in water as necessary to help create the perfect consistency. Use your hands to roll the dough into 1-inch balls, and then toss in shredded coconut. Set truffles on a serving tray and place in the refrigerator to set until serving. Enjoy! Looking for more delicious meals and sweets to try this spring and summer? Browse and shop through our recipes books today! Thank you for the wonderful recipes. I have been looking for a lettuce wrap recipe. I think my mom would love it. Thank you for the recipes. I’ll look forward to making the raw sweet potato soup.